When hiring Moonbeamers Popup Cinema for your event there is some important information that you will need to know. WEATHER We try to go on regardless of weather conditions, however, we cannot set up in heavy rain or high winds. 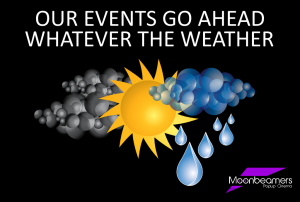 Once setup we review weather conditions throughout the event and will only stop if the weather reaches a level that is inappropriate for the audience or equipment. POWER We need access to at least two 13amp electrical sockets, preferably on different circuits to operate our equipment. If electricity is not available then we can bring generators. SCREENING TIMES For Outdoor cinema events we cannot start before sun down – this is usually between the times of 8:00pm to 9:30pm – the reason for this is that it must be dark otherwise the image will not be visible on the screen. For indoor events we can start the event during the day as long as the room can be darkened. 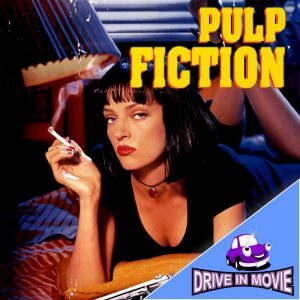 MOVIE EVENT We will provide the movie required but if you wish to supply it then we will need two copies of the Blu-ray or DVD. We don’t normally have an intermission as we feel this interrupts the enjoyment of the movie. LOCATION SPACE This will depend on the size of screen you require at your event. We will need enough space to anchor the screen securely, this is usually done by guy ropes spiked into soft ground. If you have a hard standing area then we can still secure the screen but we need to know this before the event so that we can arrange for the best method to be used. ACCESS We generally require vehicle access on site but if unavailable then as close as possible to the positioning of the screen. SEATING We do not provide seating for the event and suggest that you advise the audience that they need to bring something to sit on. We would recommend blankets or camping chairs. For members of the audience who bring chairs we would suggest that you advise them to sit towards the sides or back of the viewing area so those on blankets can see. AUDIENCE As well as advising the audience on seating arrangements (above) it’s definitely a good idea to recommend they bring some warm clothing to wear or pack an extra blanket as even on hot summer days it can become very chilly later on in the evening. As showers can also strike at any time some kind of waterproof is also a good idea. In addition, picnics are always a great extra. We would advise that no barbeques, tents, large umbrellas or dogs are permitted at the screening. For the enjoyment of all audience members, we would suggest that it is a non-smoking event. STEWARDS For larger events we would recommend that you have several stewards to assist with directing the audience etc. You can take care of this yourself or alternatively we can arrange this for you. LIGHTING Floodlights can be supplied, if required, for the viewing area. All lights need to be turned off during the screening to ensure that there is no adverse affect on the projected screen image. The darker, the better. FIRE RISK Please ensure you have appropriate fire procedures in place. We always carry fire extinguishers for our equipment. PARKING Please make sure you consider parking for the audience at your event. INSURANCE Moonbeamers Cinema is covered for public liability and event insurance. It covers our equipment and members of the public.